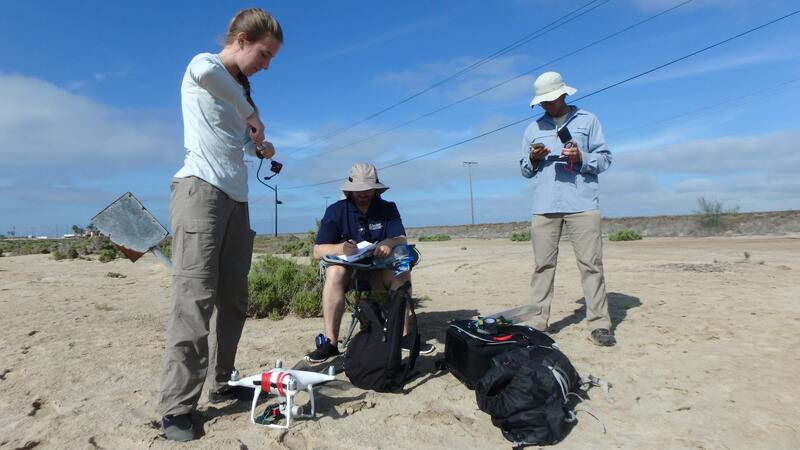 Our latest Engineers for Exploration (E4E) project aims to use multispectral camera on an unmanned aerial vehicle to help our scientific collaborators better understand the mangrove ecosystems. Research engineer Eric Lo and Nikko Bouck and Brynn Hall (two of our Summer E4E students) accompanied our SIO collaborators from the Aburto Lab to Bahia Magdalena, Baja California Sur to perform an initial survey of the mangroves around the region. This data is currently undergoing processing with the ultimate goal of automatic large scale aerial mangrove classification. We are currently investigating a number of supervised and unsupervised machine learning techniques to perform species level classification. Our ultimate goal is to track changes to the mangrove ecosystems over time. For more information, see the blog post by Aburto Lab member Astrid Hsu – Mangroves from Above and Below.